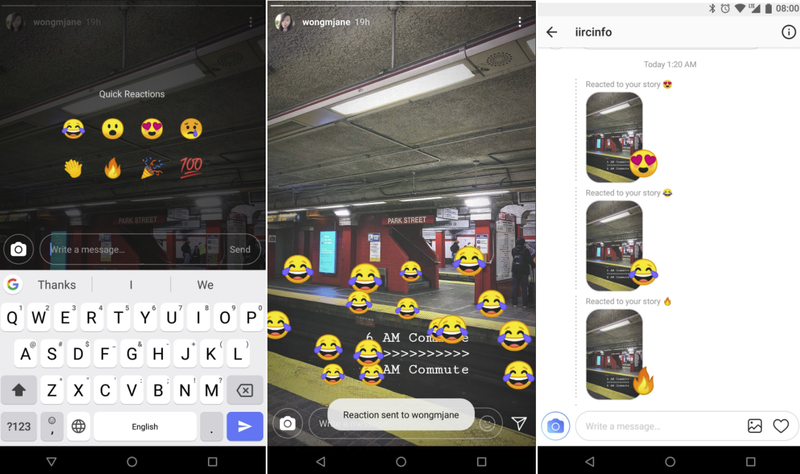 As Instagram works to maintain the pressure on Snapchat, and capitalize on the popularity of its own Stories option, the platform’s rolling out new features and tools at increasing speed, with a new set of updates seemingly now close to release. The first new tool is a ‘slow motion’ option for Stories. As you can see here, along with the existing options like ‘Boomerang’ and ‘Hands-free’, Instagram will soon be adding a slow motion tool, adding to your creative options. Of course, most phones already have an in-built slow motion option within the camera app, but this will add it to Instagram itself, which could improve take-up. Sick of seeing posts from that one former school friend, but don’t want to cause a real-life rift by unfollowing? Instagram will soon release an unfollow option, similar to what’s available on most other platforms. It may seem like a small option, but the social risk is real with unfollowing. Many users will be happy to see this arrival. Not sure when you posted an Instagram Story, or which Story you've posted on each day? Check out this new Calendar layout, which clearly lists the days you were active, and gives you a snapshot of the content. The tool could come in particularly handy for brands looking to plan out their content calendar, and ensure that they’re on top of content and posting frequency. Instagram’s also trying out a Facebook-style Quick Reactions option for Stories. The quick response option makes sense, but I'm not so sure about the emojis flooding the screen. No doubt Instagram will iron out the details in testing. And the last new option in testing is the capacity to tag your Facebook friends in your Instagram posts. Once a user's tagged, they’ll get a notification on Facebook, improving the cross-linking between the two apps. Facebook’s been slowly working to improve the cross-integration of the two apps, while still maintaining Instagram’s individual identity. That’s likely even more important now, given reports of user concerns around how Facebook utilizes data, but more ways to cross-connect your social graphs makes sense, both from a convenience standpoint (for users) and in terms of growth (for Instagram). All of these features are in testing now, and it’s possible that all, or none, might ever make it to live release. But given how far along each element is in the testing process, you’d expect to see them appear at some stage soon. We’ll keep you updated on if and when they’re rolled out. Thanks to Matt Navarra for sharing the new tests.